Alexander Shiryaev (1867-1941) is not a name that you will find in any film history. He was a member of the Russian Imperial Ballet at the Mariinsky Theatre, St Petersburg, a protégé of the great choreographer Marius Petipa, a character dancer of great skill (he was too small for the classic leading roles), and a gifted ballet teacher. It was his teaching that seems to have led Shiryaev to film. Fascinated with human movement and the notation of ballet, Shiryaev began producing sequential drawings of dance steps that documented the minutiae of such movements, work that was inherently cinematic in construction. Shiryaev must have seen the connection, because in 1904 he applied to the theatre management to let him purchase a motion picture camera and film to record the dancers of the ballet. He was turned down – no films were allowed to be made of the dancers of the Imperial Ballet. Undaunted, Shiryaev purchased a camera anyway – a 17.5mm Biokam acquired in London, to be followed by an Ernemann Kino, also employing 17.5mm film. At some point he also had used of a 35mm camera. Shiryaev took to filming as one who instinctively knew what the medium could do. He understood the camera as he understood dance. Between 1906 and 1909, Shiryaev produced an astonishing body of work – live records of dances, home movies, comedies, trick films, animations and puppet films. None of these was seen in public. They might have disappeared from history entirely, had they not first been narrowly saved from destruction in the 1960s by a friend of Shiryaev’s, Daniil Saveliev, and then discovered again in 1995 by filmmaker Victor Bocharov, who has been their custodian ever since. Bocharov produced a documentary on the collection in 2003, Zapazdavshaya Premiera (Belated Premiere), but the screenings at Pordenone were the true public premiere for the majority of these films, many of which came fresh from the specialist labs of PresTech in London. 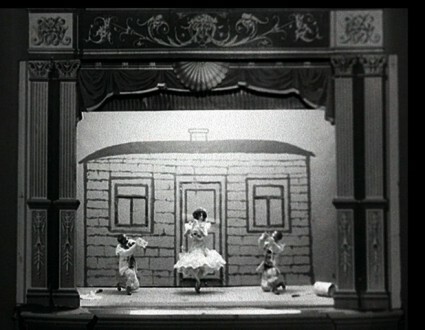 The Shiryaev films were shown over a number of days, the programmes including A Belated Premiere and films related to his world, such as Anna Pavlova dancing. But the main programme came on Friday 10 October, and divided up his ouevre into four categories. These were films of Shiryaev and his dancer wife Natalia Matveeva dancing on a sunlit stage at their Ukraine home. As the only films of the Russian ballet greats at this time, they have plain historical value, but they are also a visual delight. The two dance singly or together in a selection of folk-based dances, performed with sparkling zest, and each ending delightfully with the dancer leaving the stage then returning for a bow. The most dazzling are those on 35mm, particularly Shiryaev’s party piece, ‘Fool’s Dance’ from Petipa’s Mlada. Shiryaev was evidently a film-goer himself, and decided to emulate some of the trick films common in the mid-1900s. All were again filmed at his summer home, in the open air. One film where a giant spider came down and settled on a sleeping man was clearly inspired by Georges Méliès’ Une nuit terrible. Another, given the title [Chairs], anticipated Norman McLaren’s Neighbours by some fifty years, with its stop-animation of humans seated on chairs and swapping positions. Earlier in the week we had seen numerous fleeting home movies of Shiryaev and family (they are some of the earliest surviving home movies anywhere) and various staged comedies made by the family. The marvellous thing to behold was how the boundaries between home movies, comedies and then trick films blurred, all created in the same spirit of joyous performance. The family’s whole lives seemed to be some form of dance. For me, Shiryaev’s paper ‘films’ were his greatest achievement. Before he had a camera (or so it is assumed), he produced animations on paper (45mm wide) which have now been reconstituted on film. 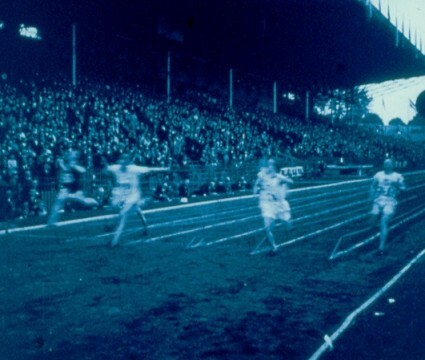 One such film with delicate line showed birds in flight, the observant results of which the festival catalogue rightly pointed out connected his quest for reconstituted movement with that of the chronophotographers Eadweard Muybridge and Etienne-Jules Marey. But finest I think was [Cakewalk], a trio of dancers in exquisite, gently swaying unison. Only a minute or so long, but I have never seen a finer piece of animation. For David Robinson, the festival’s director and a most enthusiastic advocate of Shiryaev’s work, the stop-frame puppet films he made were his greatest achievement. They were certainly the most astonishing. Years ahead of animation elsewhere in the world (and two or three years ahead of Starewitch), these films used puppet figures in a theatre set to recreate, in meticulous detail, actual ballet dancers. Some of the effects – such a water or paint being thrown, or balls being tossed in the air – were astonishingly accomplished, and simply the co-ordination of several puppets all dancing at the same time would have required prodigious patience and skill. One of the films indeed revealed the animator’s hands to the edge of the frame, moving manically into a mysterious blur. The puppet films required some concentration on the part of the audience, particularly the 12-minute-long [Harlequin’s Jest], which was in five acts with long titles (supplied by Bocharov) explaining the action. What helped enormously was the music. We know that Shiryaev meant his films to be so accompanied, including the animations, but not what that music was. John Sweeney, one of the festival’s core band of pianists, took on the task of matching music (some from Petipa ballets, some his own) to the films, with Günter Buchwald joining him on violin for [Harlequin’s Jest]. The brilliant results were rightly given loud acclaim by the audience – the musical highlight of the festival. We will certainly be hearing more about Alexander Shiryaev. The documentary A Belated Premiere gets its British premiere at the Watershed in Bristol on 19 November (nearby Aardman Animation has been involved in supporting the restoration of Shiryaev’s work), and with the restoration of the films as yet incomplete (some we saw only on DVD), it’s a certainty that there will be more on show at Pordenone. Friday was a day for superlatives. In the morning we had seen more of the Corrick collection of early films collected by a family of entertainers in 1900s Australia. Now, having written my thesis on Charles Urban (right), published a website about him, and taken my blog nom de plume from his company logo, it might be argued that I could be a little biased when it comes to praising his works, but – damn it all – Living London, made by the Charles Urban Trading Company, if it isn’t one of the greatest of all silent films, then it is undoubtedly the greatest film of 1904 [update: the film has now been identified as Urban’s The Streets of London (1906)]. The film is an eleven-minute section from an original forty-minute documentary (no other word will do) depicting London life. Moving approximately eastwards (from Westminster to the City, with a diversion along the Thames), the film shows the metropolis at its imperial zenith, vividly alive, with cameras picking out every detail, high and low (the trouble taken over camera positions was particularly noticeable) – traffic, roadworks, people dancing in the street, workers of every kind, buildings under construction, the river teeming with craft, even in one shot a row of men with sandwich boards advertising Urbanora film shows. The catalogue compared it to Vertov’s Man with a Movie Camera or Ruttmann’s Berlin: Symphony of a Great City, but this was a work of a different kind, a sort of missing link between the single-shot actualities of the early cinema period and the constructed documentary. I can think of few other films that can so thrill with a plain exposition of ‘reality’. The Corrick collection yielded other gems. Particularly noteworthy were Bashful Mr Brown (1907), a chase comedy made by the Corrick’s themselves; Babylas vient d’hériter diune panthère (1911), pure surrealism from Alfred Machin as an inquisitive leopard is introduced into a bourgeois household; and The Miner’s Daughter (1907), an exercise in beautifully judged pathos from Britain’s James Williamson, in which the title character parts from her father when she marries an artist, and after much grief they are finally brought together by his granddaughter. And it’s a rare early film that combines a mine explosion with scenes inside the Royal Academy. After the highs of Shiryaev we relaxed in front of Ihr Dunkler Punkt (1929), a typically professional vehicle for Germany’s favourite Briton, Lilian Harvey, who played two identical people, one an ordinary young woman about town, the other a jewel thief, whose lives and lovers get mixed up. A light but cleverly made concoction, in which I most liked the comic turn by the normally sombre Warwick Ward, another Briton who plied his trade in German films. I was tiring just a little of films by this stage, and chosen not to follow D.W. Griffith into the sound era with Abraham Lincoln (1930). Instead I concluded my Pordenone with the evening screenings of A Propos de Nice (1930) and Kino Pravda no. 21 (1925). 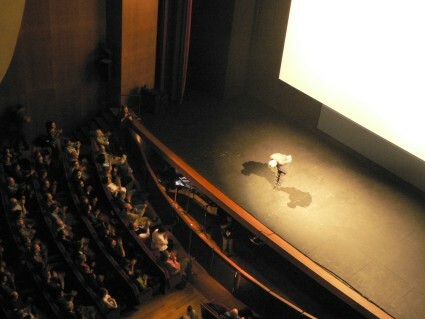 A large crowd of Pordenone locals queued up for this, and the theatre was filled up to its third tier. How come? Because Michael Nyman was playing the piano, and Italians, it seems, love his music. Nyman had been due to play at the festival last year, but had to withdraw owing to illness, so did the honourable thing by turning up this year. Despite his star status, Nyman found himself in the pit the same as all the other musicians during the festival, with the result that no one saw him until he emerged for his bow at the end. A Propos de Nice came first, and Nyman’s complexly repetitive music provided the ideal match for Vigo’s cumulative montage of telling images. It was certainly quite different to anything else we heard during the week, a lesson in how we should always be encouraging different musical interpretations of silent films. Particularly striking were sequences with a single bass note pounded with a rapidity that seemed to be testing the piano’s stamina to the limit. The Kino Pravda, a celebrated example of the series, on the death of Lenin, was less successful. 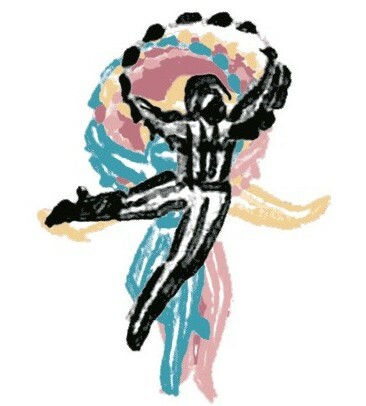 The film itself, with its hectoring, fractured style, combining newsfilm with slogans and animation, probably defies most forms of musical accompaniment, and Nyman’s score churned out circular themes that didn’t much connect with the film. The score lacked the inspiration of A Propos de Nice, and the film ended a few bars before he did, so that he was being applauded while still trying to finish playing. Opinion afterwards was mixed, with some of the musicologists among the Giornate regulars in shock. And that was it for me. I left early on the Saturday, the last day of the festival, and so missed Griffith’s final film The Struggle (1931) (touchingly paired with a re-showing of his first, The Adventures of Dollie) and the grand finale of Jacques Feyder’s Les Nouveaux Messieurs (1929). This was a fine festival. Few outstanding classics, but so much to interest, stimulate, challenge and excite the imagination. There were welcome innovations, such as the electronic subtitles, and encouraging signs of closer relations between town and festival. The Giornate del Cinema Muto never rests on its laurels, recognising the broad and knowledgable audience that it attracts, and that in a real way Pordenone is silent film today. It sets the agenda; it builds up the canon; it consistently reminds us of how various the silent film was (and continues to be – there were some examples of modern silent shorts, though none that I saw were terribly distinguished). Warm thanks to all who make the festival such a success year after year. We’re so lucky that it’s there.